It's been a month since I've posted. Family matters of the greatest concern have been going on. My dear hubby, who has been suffering with early onset Alzheimer Disease, passed away three weeks ago. It was hard...but I thank God for painting. And am so thankful to love what I do. 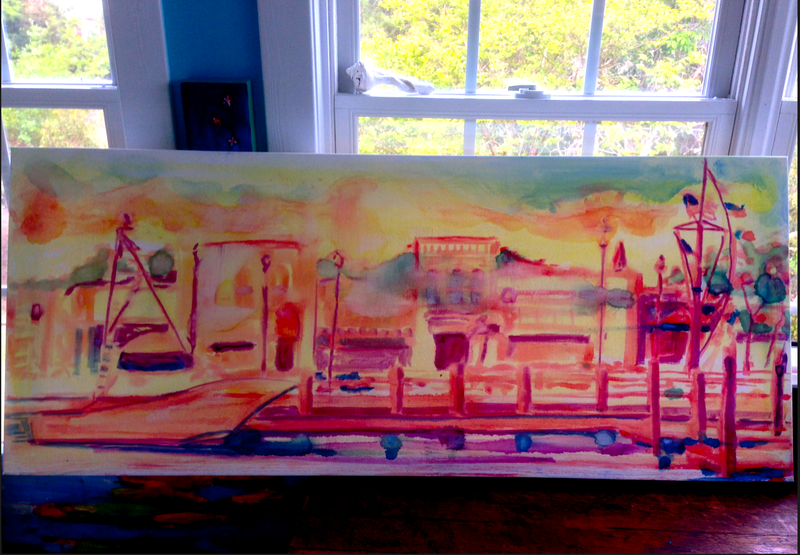 Now...for finishing up, well starting a commission, of the Beaufort waterfront. Took a boat ride on Saturday taking good look from the water. 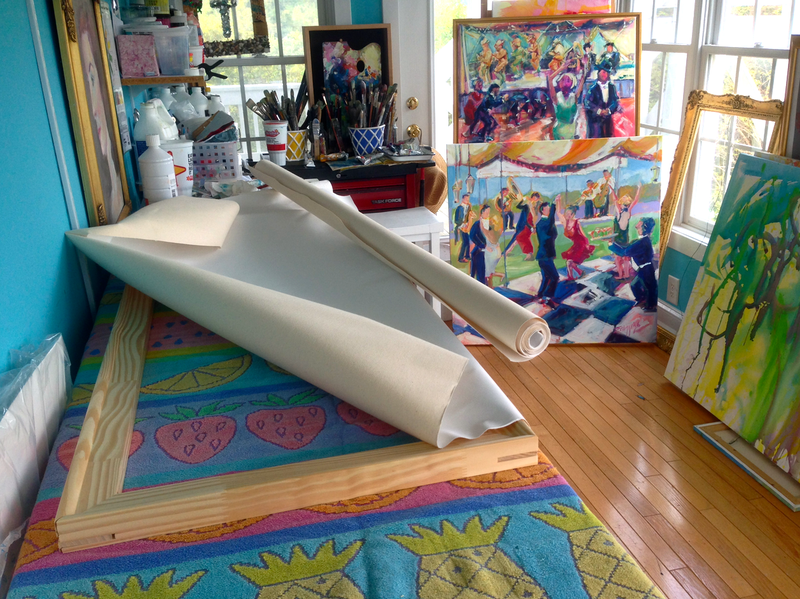 Today, stretching the canvas and filling in the beginning sketch.